“Philippines: Top Five Shortcuts for Fast Annulment” is today’s topic. How fast can you get an annulment in the Philippines? How much does an annulment cost? What are the conditions for obtaining an annulment? This article will address those questions. First of all, just what is an annulment? An annulment of marriage annuls or declares no longer valid the marital union between a husband and a wife. Since the Philippines is the only country in the world without a divorce law, the annulment option is the only legal means of remedy for those seeking to dissolve their marriage. Yes, you could kill your spouse but the management at Philippines Plus expressly disapproves of this option. If you’re a celebrity or politician in the Philippines, obtaining an annulment is fairly quick and easy. Kris Aquino, sister of former president B.S. Aquino, and PBA star James Yap held a civil wedding on July 10, 2005. After B.S. was elected president, Kris filed for an annulment in 2010. The annulment was granted in 2012. Philippine Senator Francis “Chiz” Escudero dumped his wife Christine in 2010 and received an annulment in 2012 to marry actress Heart Evangelista. The majority of Filipino celebrities and politicians I researched were granted their annulments in one-two years. However, I realized that the majority of the people reading this blog are probably not celebrities or politicians. But, if you’re rich….. If you’re a rich foreigner (or Filipino) in the Philippines, your path to an annulment can be very fast and…costly. I’ve personally spoken to an expat who was trying to obtain an annulment for his Filipina girlfriend. The gentleman had been trying for years to get one but to no avail. Then he got word that a lawyer in Iloilo City had connections with a judge who could get him the annulment in two weeks. The cost? 300,000 pesos, 6,000 US Dollars. The desperate foreigner shelled out the money. Two weeks later, the annulment was granted. Obtain a fake death certificate for the spouse you are trying to get an annulment from. While the management at Philippines Plus certainly doesn’t condone such an illegal activity, we know it’s been done in the past. Annulments have to go through the courts and the National Statistic Office, NSO, of the Philippines. While passing a fake death certificate to NSO can get you six years in the slammer, it affords some desperate folks a dangerous option. Pay off someone at the National Statistic Office to wipe out your marriage record. Again, we do not condone or encourage such an illegal act, but do know that it’s been done in the past. I spoke to a foreigner years ago who wanted his marriage annulled. The foreigner’s new girlfriend had a relative who worked in NSO. The request was made to have his marriage wiped from the NSO database. The deed was done and the expat remarried. The Number One Shortcut to obtaining an annulment in the Philippines is not a shortcut at all. We at Philippines Plus recommend you hire an honest, professional lawyer which could cost you anywhere from 100-300,000 pesos, 2,000-6,000 USD, upfront. Filing fees: P10,000, 200 US Dollars, or less. The first step in obtaining an annulment is filing for a Petition for Annulment of Marriage before Office of the Executive Clerk of Court of the Regional Trial Court, RTC, of the province or city you’ve been living in for at least six months. The filing fees can be under P10,000 if you have no properties you need to arrange for with your spouse. Acceptance fees: P100,000 and up. This is the fee a firm will charge you for taking on your case. 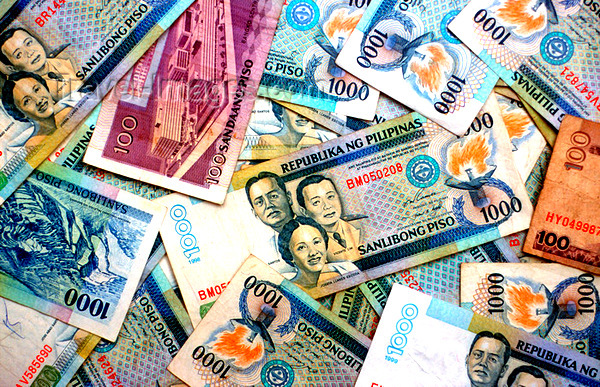 Small firms usually charge a P100,000 ($2,000) acceptance fee. Bigger firms can charge up to three times that. Pleading fees: P5,000 – P10,000 each (P100,000 total). Pleadings are the documents you submit in court, such as petitions, pretrial briefs, judicial affidavits, and others. Expect to have at least 10 pleadings. Appearance fees: P5,000 – P10,000 each (P70,000, $4,400 USD total). An appearance is when the lawyer actually goes to court for a scheduled hearing. At least 7 appearances may be needed for an annulment. Doctor/psychiatrist fees: varies. To file for an annulment on the grounds of psychological incapacity, you will need a psychological report from a doctor or psychiatrist to use in court as strong proof of psychological incapacity. It’s best to get the doctor or psychiatrist to testify in court as well. At the very least, prepare “a budget of P165,000 to P200,000, all inclusive of the cost for the psychological report. This amount can skyrocket even more if the process drags on or you do not satisfy the requirements, leading to more pleadings and appearances and fees. Of these, one of the most common grounds used is psychological incapacity. How long is the annulment process? “The processing time depends on the place where you will file the case. For instance in Quezon City, it will take 3 to 5 years to conclude a nullity of marriage case. While in Makati, Caloocan, Pasay, and, Pasig, it will take around 2 years. Processing time can be even longer if there are complications — such as if there are properties involved or there is an issue of the custody of the children. And of course, the longer it goes on, the more it will cost. While the staff at Philippines Plus doesn’t condone bigamy, we know of Filipino relatives that have merely left their spouses to live with someone else. While they may have a barangay captain or some other official “marry” them, they are legally committing adultery and bigamy. 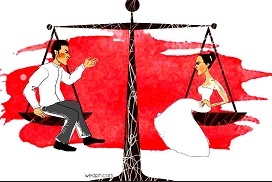 However, since the cost of an annulment is beyond the reach of many Filipinos and divorce is not an option, the above-practice is often overlooked and local officials, though they know of the “sham” marriage, merely look the other way. Of course, you could always convert to Islam. If both parties wanting to divorce are Muslims they can obtain a civil divorce in the Philippines. If the male party is a Muslim and the marriage is solemnized in accordance with Muslim law, a divorce can be granted. Of course, the couples could always agree to stay married and work out their differences. However, if your spouse is an alcoholic or hooked on shabu and beats you, it’s probably best to leave the S.O.B.